Kiehl has published many scientific papers, and one published a few months ago says that the abnormal brain structures associated with psychopathy can be detected in adolescence. It is not ethically clear what society can do with this information. “Psychopath” is a word used popularly to describe mentally ill people–often people the speaker doesn’t like! Before I read this book I didn’t realize that psychopathy is measured by a standardized test used by psychiatrists and psychologists with a fair degree of consistent results. Psychopaths are estimated to be less than 1% of the general population, but they may constitute up to 35% of the prison population. Obviously, not all psychopaths are criminals but a lot of criminals are psychopaths. Psychopaths can be the very bad people of popular myth and culture. Kiehl gives numerous examples of murderers and rapists who simply could not understand why their actions were bad and elicited horror and condemnation from other people (and society at large). In the past it was very difficult to measure the internal and real-time workings of a brain. Electrical activity could give researchers an idea of what was going on but mostly functions and structures could only be measured when the brain wasn’t working, that is, after the person was dead. An fMRI (Functional Magnetic Resonance Imaging) machine can measure the blood flow in real time within a living subject, and increased blood flow means that the person is using that part of their brain. Kiehl uses this to examine how psychopath’s brains react differently to normal people’s under certain stimuli. 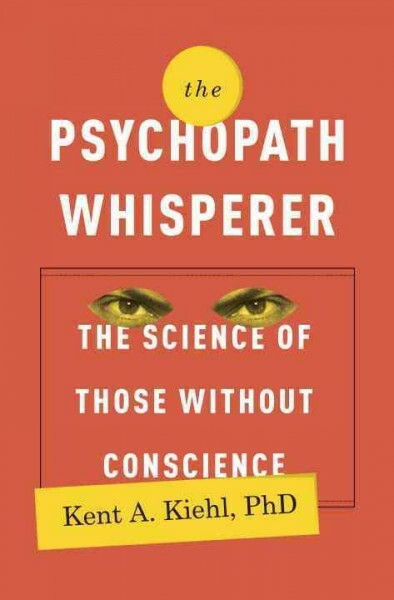 The Psychopath Whisperer is a great book for readers who like to explore the emerging physical and psychological reasons why people act the ways they do such as Just Babies: The Origins of Good and Evil by Paul Bloom. Fans of Oliver Sacks’ Musicophilia or Hallucinations will appreciate that Kent Kiehl also uses profiles of real people. It will be interesting if you like reading true crime books like Anne Perry and the Murder of the Century by Peter Graham. Also try it if you like fiction exploring the idea of inherited criminality, such as Defending Jacob by William Landay or The Dinner by Herman Koch. Have you ever been so ticked off at the characters in a book that you wanted to yank them through the print and slap them? For me, it’s usually those comedies of manners in which the whole plot could be resolved by someone taking a deep breath and speaking their mind. In A Spy Among Friends, it’s the real people with the sense of privilege and identity that assumes, against all evidence, that one of your chums couldn’t possibly betray your country. Nicholas Elliott, Kim Philby, Anthony Blunt, Donald Maclean, and Guy Burgess all came to the highest circles of British government through the same path. After a middling Oxbridge education, a friend of Pater puts a word in the ear of a fellow Club member, and suddenly Military Intelligence or the Foreign Service has a new acolyte. Wear the club tie and handmade suits, drink heavily, and send others into harm’s way. The problem is that four of these five men had a loyalty higher than the institutions that made them. They were spies for the Soviet Union. Kim Philby pulled off probably the greatest intelligence coup in history. 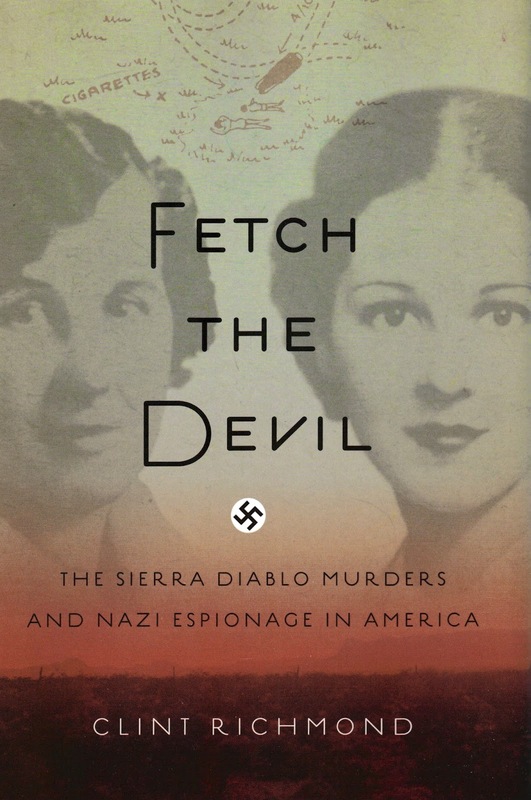 Taken in total, his career as a Soviet spy spanned 30 years, enabling him to betray Republicans in Spain’s Civil War, anti-Soviet cells in Russia, military and counter-intelligence operations during World War II, anti-Nazi factions in Germany, Allied agents, and infiltrators hoping to destabilize their Eastern Bloc countries. He was also able to protect Russian spies in the West, including Burgess and Maclean, either from detection or arrest, by tipping them off. He charmed his way into the inner circles of British and American intelligence, creating a vast pipeline of secret information that flowed on a river of booze and weekend parties directly to the KGB. He didn’t do it for money, he didn’t do it for excitement—he did it for ideology. Nicholas Elliott was perhaps Philby’s closest friend, and his greatest victim. Time after time Elliott shared operational details with Philby, then wondered why those operations spectactularly failed, with fatal consequences for the people on the ground. He couldn’t picture that Philby, whose charm and drinking ability easily elicited critical secrets from their circle, was the source of those betrayals. Elliott even subverted investigations into Philby’s background for 12 years, playing up the idea that the working class detectives from MI5 had no right to question the aristocrats of MI6. And on his word, MI6 closed ranks to protect Philby. When Philby finally defected in 1963, Nicholas Elliott was the last British intelligence agent to talk with him. Ben Macintyre does a great job bringing that culture of entitlement to life, effortlessly capturing the atmosphere of the British Empire’s last bastion without making it seem cliche. While he occasionally talks about tradecraft and agent recruitment, his interest really lies in dissecting the old boy network. An afterword by John Le Carre, which is really a collection of snippets, shows that Nicholas Elliott seems never to have overcome that trust in connexions. Looking back at all he’d tried and failed to accomplish, it really made me want to reach into the book and slap him. I just didn’t have my white gloves on. Check the WRL catalog for A Spy Among Friends. Van Eyck’s Ghent Altarpiece, painted to adorn the altar of a Belgian cathedral in the 1400s, is the most frequently stolen painting in the history of art. This is an especially neat trick considering it weighs around two tons. Opened only on special occasions, the wood panels of the altarpiece portray a host of saints, martyrs, angels, and patrons, a showpiece for the kind of minute detail the layering of newfangled oil paints could achieve, and a transition from the art of the Middle Ages to the Renaissance. Its central panel, a cryptic, symbolic scene called the Adoration of the Mystic Lamb, furnishes the title of this fast-paced, entertaining art history read. Like Edward Dolnick’s The Forger’s Spell, this is a fascinating read for folks who are interested in the intersection of art and war. Check the WRL catalog for Stealing the Mystic Lamb. Priceless is a memoir about the true crime undercover investigations carried out by FBI Agent Robert K. Wittman. Since the late 1980s, Bob Wittman was the original solo art crime investigator for what became the FBI’s Art Crime team in 2004, now numbering 14 agents who are well-versed in the fine arts, skilled with undercover work, and are prepared to rapidly deploy to any worldwide site for art theft recovery work and sting operations, often in cooperation with international law enforcement agencies. The FBI updates an online top-ten listing of art crimes and maintains a database of stolen art. The book is arranged so that you’re following developments in FBI Agent Wittman’s career as well as some pivotal events in his personal life throughout the book. However, each chapter neatly portrays a particular case and its wrap-up. There is one thread running from the beginning through the end, the notorious unsolved 1990 case of the Isabella Stewart Gardner Museum theft. Wittman’s frustrating battle with the restrictions under which he had to work in the FBI’s bureaucracy, including power struggles with senior officials, seems to provide some clues as to why this case might have been solved long ago had it not been so botched by red tape. The stories truly bring the high-stakes investigations of art theft to life for the lay reader, and open up our eyes to the realities of art crimes. The biggest revelation in this book is the fact that those who steal art are seldom glamorous, handsome and powerful art connoisseurs, as they have been portrayed in films such as Dr. No or The Thomas Crown Affair. That characterization may be true in some cases, although they are usually your typical thugs who can’t resist taking something that seems incredibly valuable yet easy to steal for even the dumbest of crooks. Some of the book’s photos of captured thieves make that contrast startling. As security systems and staffing have become more sophisticated today, even better organized art theft rings have staged some thefts on the level of Ocean’s Eleven style drama, but most of the crimes investigated by Wittman and told in Priceless are more a case of your average guy taking advantage of an opportunity to get away with something for money. These are very interesting and sometimes thrilling tales. They’ll take you behind the scenes of the FBI and around the world to exotic locations and scenarios, and I hope you enjoy them as much as I did. Look for Priceless in the WRL catalog.